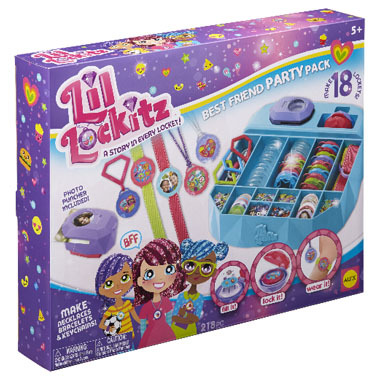 Lil’ Lockitz jewelry making kits bring fun and fashion together to capture memories and tell stories. Each jewelry kit comes with everything you need to make either personalized necklaces, bracelets, keychains, or all three. It is fun, fast, and easy! 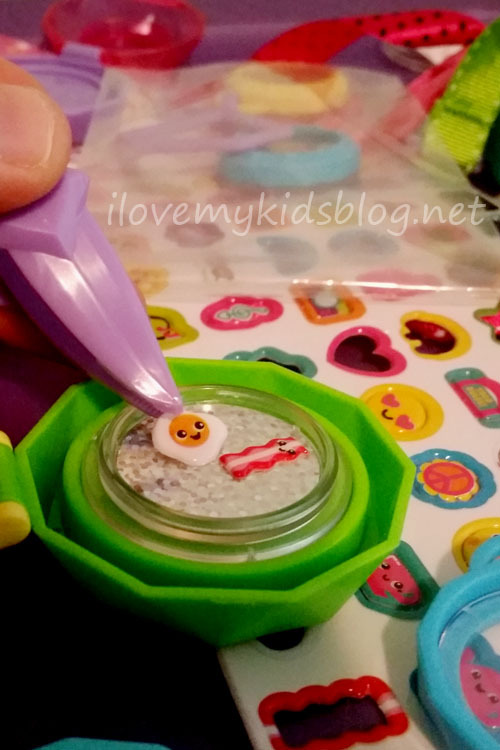 Building the locket is very easy and fun. The instructions provided were simple enough for my 8 year old to follow without help or direction from me. To make a locket, you first put a locket back into the locket crimper then select your pre-cut and sized background. Place the background into the locket back and then add charms, gems, and any other design elements you want. Finish the locket up by selecting the perfect top, place it on top of the locket back, then close the crimper and press it together. Open it up and just like that, your locket it made! Choosing the best charms for your jewelry is so much fun! You can create individualized lockets for you and all your friends. Another fun thing about the lockets is that they are easy to take apart and recreate time and time again. You can mix and match for the perfect accessory for any occasion. One word of caution: the locket back can sometimes become separated from the top, which causes all the little pieces to fall out. If this happens it is okay, just pick it up and put it together again. This kit comes with everything you need to make 18 different pieces of jewelry. It includes 18 Locket Tops, 18 Locket Backs, 6 Necklaces, 6 Bracelets, 6 Keychain Clasps, 72 Charms, 54 Gems, 32 Backgrounds, 1 Pack of Sequin Letters, Tweezers, Photo Stencil, Locket Crimper, Photo Puncher, Storage Tray and Easy Instructions. 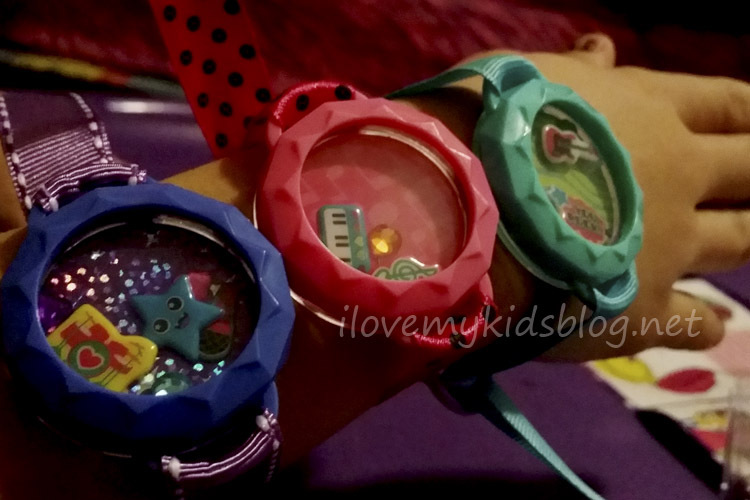 My girls love all the options this jewelry pack has to offer. 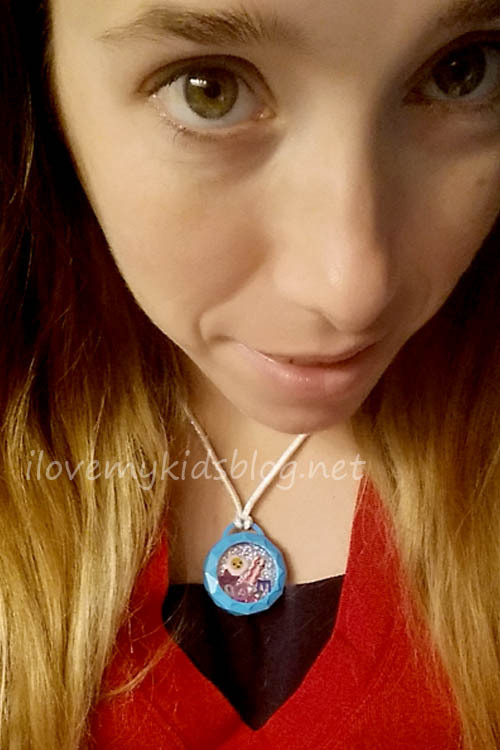 Each locket that they created was full of bright colors and fun charms. It was fun watching the expressions on their faces and listening to them pick out the design elements in each piece of jewelry. They made jewelry for themselves and also their friends. I also got in on the action and made a necklace to wear around town. I love it! The storage tray really helps keep things organized and makes it easy to keep the pieces safe between uses. The only downside of it is there is no lid, so moving it from one place to another must be done carefully. If it gets drops or falls on the floor, everything goes everywhere. These sets are perfect for getting started with Lil’ Lockitz. Each set is themed and comes with enough supplies to make three pieces of jewelry. They make perfect gifts for friends, and are under $8.00 each! 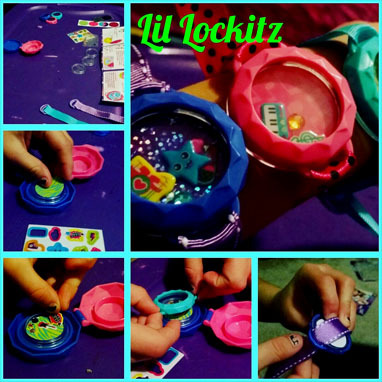 Lil’ Lockitz allow your fashionista the ability to express their creativity and showcase their personality. You can find them at Toys R Us or on Amazon. Alex Brands Toys provided me with this item for review. The opinions expressed above are my own, based on the experiences I had observing and using the provided product. Enjoy. « You Will Never Stack the Same Again After Playing Stack Up!